One of the applications against relevant content in your arsenal is to find funny people in your orbit and figure out a reason to get them on the show. David Letterman was a master at this and taught all of us that funny people who float in and out of a program can significantly add to the humor you can develop. 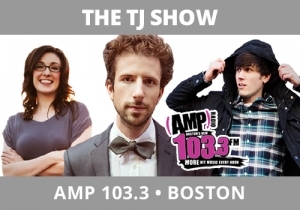 Enter The TJ Show, AMP 103.3, Boston who found a young, very precocious, opinionated kid by the name of Carter, who comes off not like the youngster he is, but as an adult. Both in his tone and how he views the world around him. Add in TJ with his weird questions and inquisitive way, and you get a terrific example of using a real life character to add a perspective and sense of humor to the show that helps it stand out. These “characters” must be real, must own a perspective, and radiate wattage (as Carter does) to add to the program.